About! Wow, tough topic. Not really supposed to talk about yourself you know. Considered poor form, I always thought, but here’s a stab at it. Born on the lower East Side of Manhattan and raised out on Long Island, both in East Meadow and Northport. Always considered Northport as my home town. It’s a great little village on the North Shore of the Island, good fishing and boating. Had a Catholic School education from first grade on through college: Sacred Heart, St. Phillip’s, St. Anthony’s H.S., and St. John’s University. I can still remember when, in my senior year of college, the school removed the jacket and tie requirement. 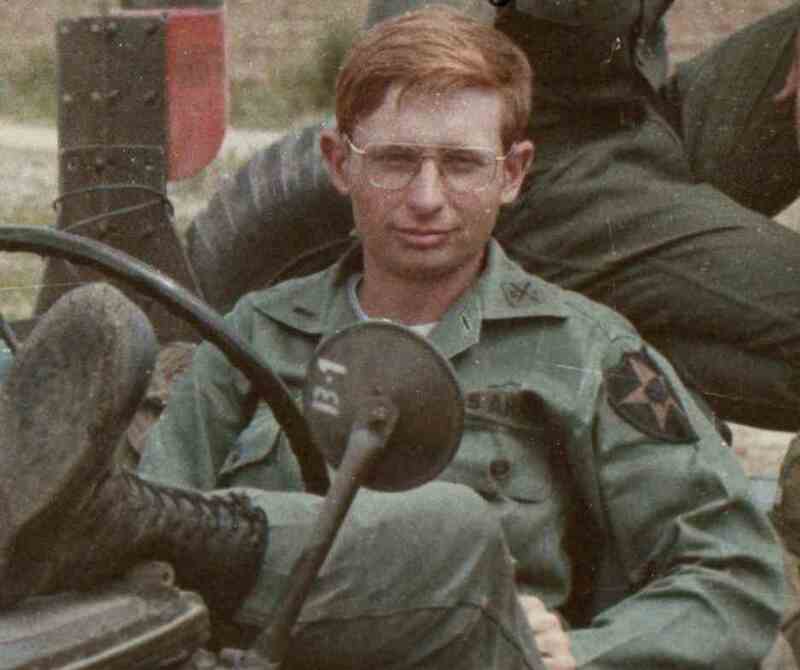 Went ROTC during Viet Nam and on graduating from St. John’s was commissioned a Second Lieutenant of Field Artillery, RA, and sent to the Korean DMZ instead. I spent 21 years 4 months on active duty and retired as a Lieutenant Colonel the year after going to Desert Storm. Great years in the Army! During my time in the Army I had the good fortune to meet my wife Helen while stationed back in Korea in 1982. She was commanding the MP detachment in Seoul when I was assigned to the 8th Army IG office. Helen and I have three children: Seanan, who is currently in the US Army, Keenan, who works in the oilfield and Molly (my daughter by a former marriage) who owns a day care in Arkansas. We have 6 grandchildren. I have been a lifelong Holmes fan, a competitive shooter and a Civil War cannon enthusiast. We’ve raised horses and Irish Wolfhounds and lived on a small farm in Rush Springs, Oklahoma for 29 years. Rush Springs is the Watermelon Capital (at least of Oklahoma) and has about the finest people you want to meet. Helen and I spent 20 years on the Acme Fire Department (Yes, like where Wylee Coyote gets his dynamite) and were in law enforcement for about 12 years. I’m now able to follow my other passions, Irish History and the Holmes Stories as well as participate in a number of civic organizations. For many years I was on the Board of Directors of the US Field Artillery Association, and ran live fire Civil War Cannon competitions at the home of the Field Artillery, Fort Sill, Oklahoma. I am currently active with the Knights of Columbus (surprise! ), The local VFW and the American Legion where we now live, just north of Darien, Georgia. At some point in all this I love to find time to write. Can’t wait for this book to come out! Kieran is one of the smartest men I know. He is always doing things for others. I am very happy for him! Dear Mr. McMullen. I’ve read your book on the actors who played Dr. Watson with great interest. I do have a correction, though. There was never a person named “Forest Holger Madsen”! Holger-Madsen, yes (the dash was an affectation: the name was originally Holger Madsen pure and simple), but the “Forest” dates back to an old Italian who’s who. Someone among the editors misinterpreted a group photo from the Great Northern company in which Holger-Madsen is pictured in the foreground. “Foreground” in Danish is “forest.” When the book came out back in the day, everybody at the Danish Film Institute went ballistic. How did some Italians know something about Holger-Madsen that was unknown at home? Finally someone took a look at the accompanying group photo and caught the mistake. Laughter ensued.